There is a steady replacement of the West's international financial system, its control & dominance with one centred around China’s new international financial system. A financial system designed to support not just itself, but everything from the Asian Pacific to the Eastern doorstep of Europe and more. The system will comprise of China, Russia, the remaining BRICS, the Shanghai Co-operation Organisation + Observer states and everything else along its planned new Silk Route. China's leaders have a solid track record of long-term strategies, coupled with 5 year plans drawn up to support and ensure the achievement their long-term objectives. That is in stark contrast, to the increasingly short-term thinking displayed by Western leaders. In 1982 the Chinese government made a long-term strategic decision to steadily accumulate gold as a key component in their nation’s financial reserves, with an understanding of its role in the international financial system. At that time the gold price had started its secular bear market, which did not end until 2002. Some well-respected precious metals commentators estimate, that since 1982 the Chinese government has accumulated at least 20,000 tonnes of gold, with some estimates a good deal higher. Whereas, the 'official' declared Chinese gold reserves are only circa 1,700 tonnes. In 2002 China made it legal for their citizens to buy precious metals, indeed, it encouraged its citizens to purchase gold and silver through widespread media campaigns that are on-going to this day. As a result, Chinese retail gold purchases are estimated to be comfortably in excess of 2,000 tonnes per annum, against a total global annual mine production of circa 3,000 tonnes. It is believed that the accumulated gold is to support their new international financial system when they bring it fully online. Over the last couple of decades, China has played its cards well, in making itself attractive to western multinational manufacturers to establish manufacturing facilities in China, which over the last few decades has seen the country transformed from a largely agrarian economy, to the world's primary manufacturer of finished goods. The Chinese industrial revolution was compressed into a remarkably short time frame. It was estimated that, for several years, the Chinese infrastructural development was the equivalent of building a city the size of Toronto every three months! Such rapid development has undoubtedly resulted in some poorly considered development decisions, as well as the pollution of both air and water. However, the Chinese if, anything, have shown themselves to be determined to succeed, and those problems will no doubt be addressed, and overcome in time. The vast majority of the Chinese trade was conducted via the existing Western international financial system using the world's primary reserve currency, US Dollars. Most of China's trade surpluses have traditionally been held in US Dollars, predominantly in US Government Treasuries, and currently their total US Dollar reserves are in excess of USD$ 3 Trillion. The USA derives an immense economic and financial advantage through the US Dollar’s role as the world's primary reserve currency. China along with many other countries are acutely aware that the USA frequently uses that US Dollar pre-eminence, to impose unilateral economic, and financial sanctions on those countries that are reluctant to bend to the USA's wishes. Indeed, the use of unilateral economic sanctions by the USA has become an increasingly used weapon in recent years, which has caused a great deal of ill feeling in many parts of the world. In 2001 China, along with Russia, established the SCO (The Shanghai Co-operation Organisation), which is a political, economic and military organisation that initially comprised of China, Russia, Kyrgyzstan, Kazakhstan, Tajikistan, and Uzbekistan. In July 2015 the SCO decided to admit India and Pakistan as full SCO members. Observer states include Mongolia, Iran, Belarus and Afghanistan. This was an initial step in the Chinese long-term plan to counter balance the increasing US global hegemony. A few years after the formation of the SCO, a loose association was formed between the BRICS (Brazil, Russia, India, China and South Africa), in which bilateral relations amongst the BRICS nations have mainly been conducted on the basis of non-interference, equality, and mutual benefit (win-win). It is estimated that the combined GDP of the BRICS should reach the US$50 trillion mark by 2020. "We now clearly see the defectiveness of the monopoly in world finance, and the policy of economic selfishness. To solve the current problem Russia will take part in changing the global financial structure so that it will be able to guarantee stability and prosperity in the world and to ensure progress. The world is seeing the emergence of a qualitatively different geo-political situation, with the emergence of new centres of economic growth and political influence. The 2008 crisis that shook the international financial system only intensified the Chinese and Russian efforts to construct the infrastructure necessary to support an alternative, and parallel international financial system, independent of the US Dollar. In 2012, under US pressure, Iran was expelled from world's international transfer system (SWIFT), which had a profoundly adverse impact on Iran's economy. This US action only served to motivate the Chinese and Russians to develop, and introduce, their own international transfer system, independent of SWIFT. In 2014 the US, UK and EU backed coup d'état in Ukraine, and the subsequent US driven international trade sanctions imposed upon Russia, had the unintended consequence of incentivising both Russia and China to become increasingly close in all fields of co-operation, as it was clearly recognised as being the only way that they could successfully resist, and push back the US global hegemony. Russia, with its huge natural resources, and its increasingly modernised military machine, combined with China's enormous economy, financial muscle, huge population, rapidly growing modern military machine, and increasingly impressive IT expertise, make a the two nations a most formidable team! China has used Russia's partnership, support and resources, with Russia's blessing, in the development of their new international financial system. Over the last couple of decades China has been a reliable 'team player' within the existing US dominated international financial system, notwithstanding its long-term plans to become more financially independent from the USA. In 2010 China applied to the IMF to have the Yuan included in the basket of currencies that make up the IMF's SDR (special drawing rights), in recognition of China’s increasingly major role in the global economy. If the Yuan was included in the SDR basket of currencies would be classed as one of the secondary global reserve currencies, which would boost its international profile and use in international trade, which would be very much in line with China's strategic plan regarding the gradual opening of its financial markets to international participation. The IMF reviews the SDR basket of currencies every five years, so, in 2015 China once again applied to have the Yuan included in the SDR basket of currencies. Whilst China has made great strides to open up its financial and capital markets, and despite the IMF's Lagarde making very positive noises, it was recently announced by the IMF that China's application will very likely be deferred until September 2016*. The USA has close to a power of veto over any IMF vote, and it is clear that the USA does not wish to see China gain more influence within the IMF, at the USA's expense, so the negative response is of little surprise, but nonetheless disappointing to the Chinese who have been a reliable team player. Interestingly, during Xi's state visit to the USA, and after his meeting with Obama, there have been some rumours that the USA may agree to the Yuan’s inclusion in the SDR currency basket. So watch that space. It has been clear for many years, that the USA would strongly resist any moves to dilute its position as the world’s sole 'superpower'. So, although China has been a reliable team player in the US dominated international financial system, they have been steadily working towards being able to introduce an alternative, and parallel international financial system that could operate outside the US Dollar's influence. Foreign central banks are now able to participate in the Chinese inter-bank bond market. China has announced that foreign central banks will shortly be able to participate in the Chinese 'onshore' foreign exchange market. Precious metals markets are open to international participation through the Shanghai International Gold exchange. Stock markets are open to international participation through the Hong Kong – Shanghai stock connect programme. A gold fund with a seed capital of Yuan 100 Billion (USD$ 16 Billion) has been established, with the specific objective of building up the sovereign gold reserves of the BRICS and SCO countries. Chinese and Russian credit card systems, which are settled in Yuan and the Rouble, are substantial, and in operation. Multiple bi-lateral currency swap agreements for the settlement of trade in Yuan have been signed with over 30 countries including the UK, Germany, France and Switzerland, without using the US Dollar. The Introduction of a Chinese daily gold and silver 'fix' in Yuan is to be introduced before the end of 2015. The establishment of an oil futures market priced in Yuan, open to international participation, is expected to open before the end of 2015. China has been opening its markets to international participation on a slow and gradual basis that will see it evolve from a closed market to one that will be integrated fully into the international financial system. Various global financial centres have been vying to assist the Chinese government in the 'internationalisation' of the Chinese financial markets. An example of this is, that the British Chancellor George Osborne had been in talks with senior Chinese politicians about the expansion of the Yuan/Sterling currency swap agreement, so as to accommodate the plans that both countries have to issue short-term Chinese sovereign paper denominated in Yuan in the London financial market. London’s plans to increase trade and financial co-operation with China and Asia could well hamper the USA's desire to see Russia isolated. The USA/UK 'special relationship' would appear to be fraying at the edges. Both China and Russia have made it an imperative to increase trade within the countries comprising the SCO and BRICS and have officially stated policies of reducing their reliance on the use of the US Dollar in the settlement of trade. The Chinese's international financial system replacement will play a pivotal role here. 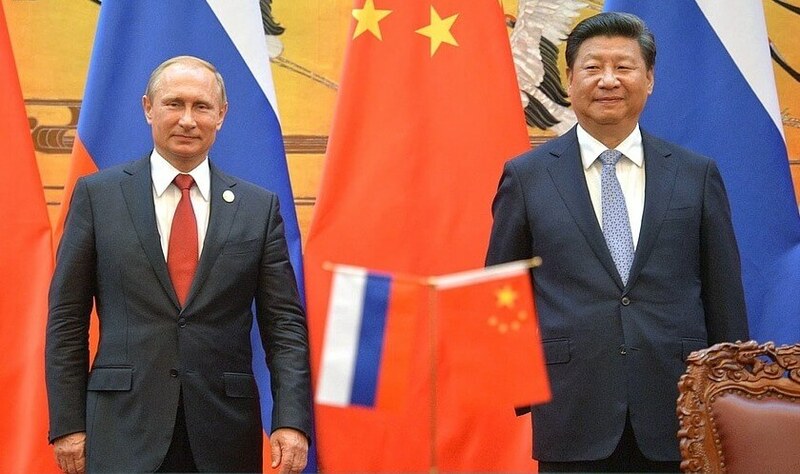 Both Putin and Xi, have placed great emphasis upon the rapid development of the new 'Silk Routes', both on land and sea, so as to accelerate the infrastructural and economic development of the BRICS and SCO countries. It is estimated that the capital cost of this vast undertaking will be in the region of USD$ 30 Trillion between now and the year 2030. The construction of long distance, high-speed railway routes, connecting those countries that lie within the Eurasian continent. Auto-routes will be constructed in parallel with the high speed train routes. The construction of suitably placed international airports. The laying of secure, and independent, high speed communications lines, on both land and undersea, so as to provide secure, independent, internet communications for the BRICS and SCO countries. The development of local infrastructures, and industrial zones within the SCO and BRICS countries. This vast undertaking will provide China and Russia with new markets for their goods, resources, energy, as well new outlets for their technical expertise, and employment for Russian and Chinese nationals. These new, and developing, markets should more than compensate for any decline in demand from the mature, and increasingly stagnant, 'first world' economies. It is no secret that the USA does not wish to see gold re-introduced into the international financial system as money. It is very much in their interest to leverage the US Dollar's position as the primary global reserve currency, so as to maintain their dominance of the current international financial system. Using gold will only erode the US Dollar's standing. For many years now there has been a steady flow of gold from the West to the East, with gold demand soaring in recent years. For example, in 2015 Jan through 25th September, the SGE (Shanghai Gold Exchange) has imported and sold/delivered 1,892 tonnes of physical gold bullion to non-government Chinese buyers. If the current rate of Chinese gold demand is extrapolated that should result in the total 2015 annual demand reaching some, 2,650 tonnes, which equates to approx. 80% of the projected annual global gold production! The China Gold Association has indicated that gold would play a significant role in future trade between nations along the 'Silk Routes'. The SGE chairman Xu Luode proposed to integrate the gold market development into the strategic development plan of the Silk Routes. Shortly thereafter, China announced the establishment of a 100 billion Yuan (seed capital) gold fund led by the SGE. This will in turn facilitate the development of gold mines along the Silk Routes, with the aim of providing gold bullion for the central banks of member SCO and BRICS states so as to increase their sovereign holdings of the precious metal. The initial 'Gold Fund' seed capital is expected to grow in line with gold mine development opportunities, as they arise. Gold will play a central role in the support of China's international financial system. As Jim Sinclair has often mentioned, gold will be a necklace draped around the currencies of the future. China intends to exert a far greater influence on the price of gold bullion than hitherto. In that regard, two of China's largest banks now participate in the LBMA’s (London Bullion Market Association) daily gold and silver price 'fixes'. In addition, China has announced that it will introduce a daily Shanghai gold and silver 'fix', denominated in Yuan, before the end of 2015. The bottom line is, that China and Russia have clearly indicated that they intend that gold will play a key, and central role, in their new international financial system. Obviously this bodes extremely well for future gold and silver prices. The recent bursting of the Chinese equity and property markets has placed increasing strain on the Chinese economy, and the Yuan. This has necessitated China selling, USD$ 200 Billion dollars of US Government Treasuries, Jan 2015 thru Aug 2015, in support of the Yuan and their financial and property markets. What is of particular note is that USD$ 100 Billion of US Treasuries were sold during a two week period in Aug 2015 alone, indicating that the tempo of China's sale of US Treasuries is accelerating. The Chinese financial/economic crisis certainly provides China with an excellent pretext to exit US Government paper and gradually wind down its exposure to the US Dollar and the current international financial system, which is conveniently in-line with their strategy to reduce their reliance on the US Dollar. Having said that, China is still endeavouring to bring its financial and economic crisis under control, and it may well become necessary to sell more US Treasuries of a substantial value. The fact that the yields of US Treasuries have remained stable during this dumping of US Treasuries by the Chinese would strongly suggest US Federal Reserve has been acting in its role as the 'buyer of last resort'. In effect, it seems very likely that the US Federal Reserve has been actively engaged in covert QE (quantitative easing). China's economic woes have had a significant and adverse impact on commodities this year, damaging both the economies and currency values of those nations that are large exporters of commodities. It is also placing a strain on those banks that have financed, capital intensive, commodity production facilities, as they will increasingly have to recognise, and write down, bad or doubtful loans extended to oil and mining companies. Indeed, the US banks have a substantial exposure to the shale oil sector, because an appreciable percentage of shale oil companies are unable to produce a positive cash flow at current oil prices. Any resulting financial distress will be exacerbated by the underlying CDS (credit default swaps) financial derivatives, which might involve losses in the Trillions of US Dollars. Watch that space! The difficulties China has been experiencing has undoubtedly placed additional strain on the already fragile global economy, however there are signs that China's economy is stabilising and may be poised for growth. China's international financial system will weather any short-term problems and become the dominant monetary infrastructure in the medium to long-term. Since the 2008 financial and economic crisis the US Federal Reserve, in conjunction with the central banks of the UK, EU, Switzerland and Japan (the major 'first world' central banks) have printed vast quantities of money, which has been ploughed into supporting the Western based international financial system, banking sector and in particular TBTF (the too big to fail) financial institutions. Little has been done to address the real issues that caused the crisis in the first place; TPTB (the powers that be) have, in essence, just papered over the cracks. The major first world central banks appear to have pretty much exhausted all their available tools, both conventional and unconventional, with little positive effect on economic growth since 2008. 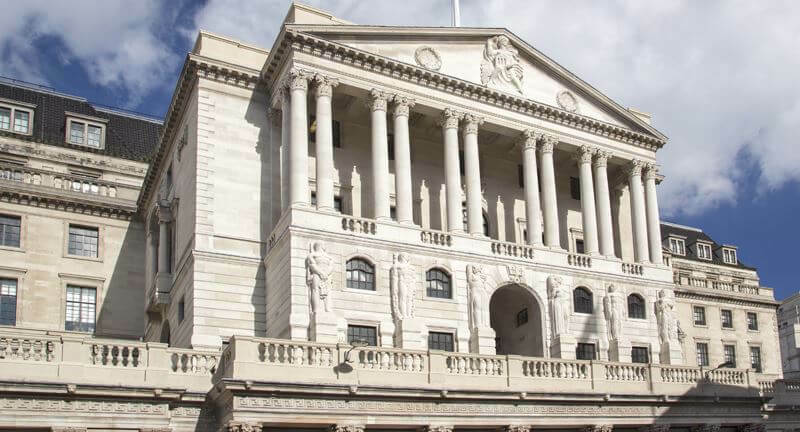 It is increasingly being recognised that the major central banks’ interventions in the financial markets appear to be very substantial and growing rapidly. Although such central bank interventionist action, to date, may well have delayed, or prevented a substantial decline, in the major financial markets, the law of unintended consequences has kicked in, as we now have increasingly dysfunctional, volatile and unstable international financial markets. The gold and silver prices have been actively suppressed/depressed by the major first world central banks, in conjunction with the major bullion banks, in an effort to buttress public confidence in the increasingly diluted and weakened 'fiat' currencies of the first world. The unintended consequence is that the prices of gold and silver have been depressed to such low levels that mines are being closed/mothballed, whilst demand for physical gold and silver bullion has exploded over the last three years. There are increasingly distinct signs that shortages of gold and silver bullion supply do exist, particularly in silver. 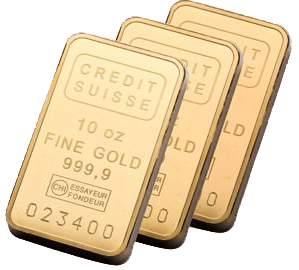 This physical precious metals supply shortage is the Achilles heel of the price suppression scheme, which may result in a sudden and rapid increase in gold and silver bullion prices. The major first world central banks are generally perceived, by the public at large, as omnipotent; able to control the international financial system, and thereby, the underlying economies; whilst in reality the central banks seem to have painted themselves into a corner, as they appear to have exhausted all their available tools, both conventional and unconventional. Print money, which will only delay the implosion of the financial markets and economies, very possibly via a period of hyperinflation. Do nothing, and let the financial and economic implosion take place naturally. Progressively raise interest rates; but the global economies are so weak and fragile, any meaningful increase in interest rates would accelerate the arrival of the financial and economic implosion. In contrast to the West, China and Russia have accumulated substantial amounts of gold bullion. Respected precious metals commentators/analysts estimate that Chinese sovereign gold reserves are very possibly in excess of 20,000 tonnes, and that Russian sovereign gold reserves are possibly in excess of 10,000 tonnes. These estimates exclude the gold holdings of the Chinese and Russian citizens. A substantial write down of bad and doubtful debt. Such action would place gold in a position to play a key, and core role, in China's new parallel international financial system. It is probably doubtful that the Chinese/Russians would opt for a 'classical' gold standard, but rather some variation of the Bretton Woods system (6). A radical devaluation of their currencies against gold would enable some of the accumulated sovereign gold reserves to be used to re-capitalise their banks, after implementing the aforementioned debt write-downs. The introduction of gold into China's new parallel international financial system would undoubtedly instil confidence and dampen/minimise the ability of the BRICS/SCO countries to engage in excessive growth of their monetary base. If gold was re-introduced into the monetary system along the lines outlined above, it would bring enormous pressure on all countries to devalue their currencies against gold, including the first world nations as the opportunity to engage in price arbitrage would be too compelling to resist. By introducing gold into their new international financial system, the Chinese would place enormous pressure on the USA to 're-boot' the current US Dollar dominated international financial system along the same lines. Over the last decade or so, I believe that we have been witness to the largest (albeit gradual) transfer of wealth and power in history, as a result of the West selling most of its gold holdings to the East, at give-away prices, whilst at the same time, transferring substantial first world manufacturing facilities to the East to save on labour costs. Whether or not, the aforementioned transfer of wealth and power can be completed without serious military conflict between the major powers, remains to be seen; but so far the skirmishes in Ukraine and Syria have been fought by the major powers through proxies. Only time will tell. (1)	The CIPS transfer system is now currently in operation for internal transfers within Russia and China. The Chinese and Russian internal transfer systems are scheduled to merge in October 2015, enabling CIPS to handle cross border transfers of money between Russia and China. Thereafter, the CIPS will be gradually rolled out to the other BRICS and SCO countries, thereby eliminating the current total reliance on the Western controlled ‘SWIFT’ international money transfer system for the international settlement of trade etc. (2)	The US$100 billion ‘New Development Bank’ (formerly known as the "BRICS Development Bank") is expected to support the BRICS and SCO and other affiliated countries performing the role currently filled by the IMF and World Bank. In addition the BRICS agreed to establish a reserve currency pool worth over another US$100 billion. (3)	It is interesting to note that many of the 50 AIIB founding members were US allies who participated despite the strong objections of the USA, which is finding itself increasingly out of step in its efforts to protect its own interests and power base. (4)	Should a ‘bank holiday’ of that nature be declared, that could well be the point at which China and Russia re-boot their own financial systems through a dramatic debt write off, coupled with a radical revaluation of gold, and the launch of their own new parallel international system, with gold at its core. (5)	That would also need to be implemented by all those BRICS, SCO and affiliated countries. (6)	The Bretton Woods system of monetary management established the rules for commercial and financial relations among the world's major industrial states in the mid-20th century. The Bretton Woods system was the first example of a fully negotiated monetary order intended to govern monetary relations among independent nation-states. The chief features of the Bretton Woods system were an obligation for each country to adopt a monetary policy that maintained the exchange rate by tying its currency to gold and the ability of the IMF to bridge temporary imbalances of payments. Also, there was a need to address the lack of cooperation among other countries and to prevent competitive devaluation of the currencies as well. Preparing to rebuild the international financial system while World War II was still raging, 730 delegates from all 44 Allied nations gathered at the Mount Washington Hotel in Bretton Woods, New Hampshire, United States, for the United Nations Monetary and Financial Conference, also known as the Bretton Woods Conference. The delegates deliberated during 1–22 July 1944, and signed the Bretton Woods agreement on its final day. Setting up a system of rules, institutions, and procedures to regulate the international monetary system, these accords established the International Monetary Fund (IMF) and the International Bank for Reconstruction and Development (IBRD), which today is part of the World Bank Group. The United States, which controlled two thirds of the world's gold, insisted that the Bretton Woods system rest on both gold and the US dollar. Soviet representatives attended the conference but later declined to ratify the final agreements, charging that the institutions they had created were "branches of Wall Street". These organizations became operational in 1945 after a sufficient number of countries had ratified the agreement. On 15 August 1971, the United States unilaterally terminated convertibility of the US dollar to gold, effectively bringing the Bretton Woods system to an end and rendering the dollar a fiat currency. This action, referred to as the Nixon shock, created the situation in which the United States dollar became a reserve currency used by many states. At the same time, many fixed currencies (such as the pound sterling, for example) also became free-floating. If you want to take advantage of our services and buy physical precious metals with the option of international private custodial services, simply and easily create a Central Holding with GoldVu.